Babies & toddlers – tooth decay: does your child have this disease? 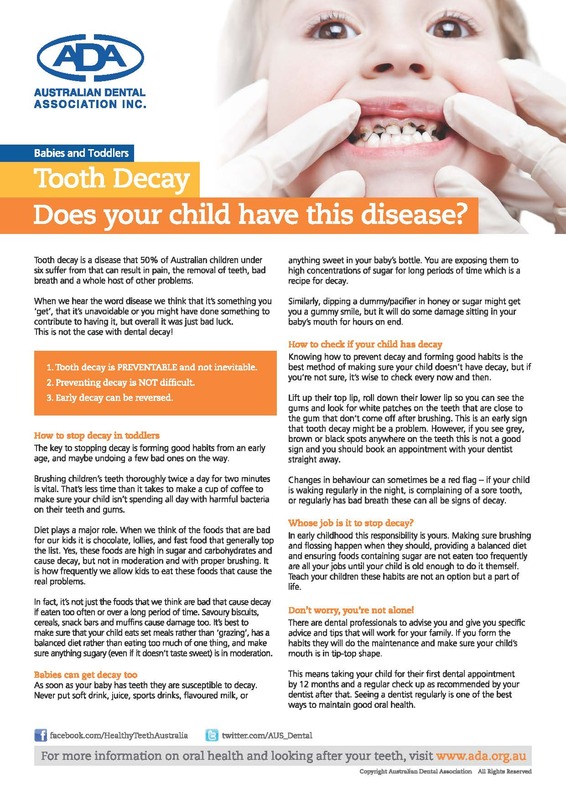 Tooth decay is a disease that 50% of Australian children under six suffer from that can result in pain, the removal of teeth, bad breath and a whole host of other problems. When we hear the word disease we think that it’s something you ‘get’, that it’s unavoidable or you might have done something to contribute to having it, but overall it was just bad luck. This is not the case with tooth decay! Read on to find out more.